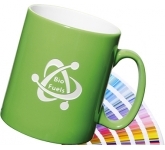 Why buy promotional etched mugs? 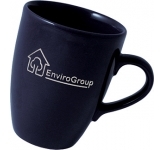 Etch your logo in the minds of your customers! 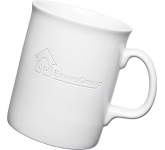 Mugs continue to remain many people's favourite promotional products, and for a good reason. First of all, everyone uses mugs. Though they are mostly used by people who drink coffee and tea (and who doesn't?! ), you can also use them for juice, water, or any type of beverage actually. 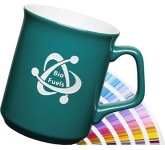 Everyone's seen promotional mugs; that's for sure. 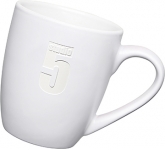 But you can make a regular, boring mug fun all over again by adding an interesting twist to it. 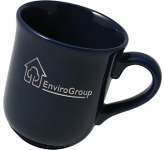 Consider etched mugs for your promotional items and you will definitely succeed in attracting everyone's attention. When people look at something day after day, month after month, and even year after year, they stop noticing the details. In fact, they get so used to seeing the same thing every day that they don't even bother to pay attention anymore. Etched mugs can change that! They are very elegant-looking, they feel nice in your hand, and they provide ample space for your logo, text, image, etc. Plus, they have an exceptionally long lifespan. What more could you look for in a mug? 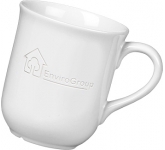 Etched mugs have a very classic look that suits everyone. 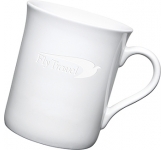 More importantly, these mugs will catch people's attention without being too much "in their face". Etching is a subtle process which results in a tasteful 3D effect, bound to catch everyone's attention. Moreover, if you think that an etched logo isn't enough, you can add some colour. Feel free to choose your favourite one from a whole spectrum and the results will surely come. 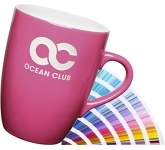 A deep blue, a vivid pink, or a cheerful yellow are going to promote your brand in a fun and effective way. 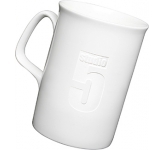 One more thing - you can decide to leave the interior of your mugs permanently white and paint just the exterior if that looks appealing to you. 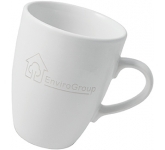 Overall, etched mugs are a sound investment; with them, you needn't worry about wasting your money. 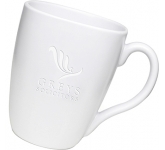 These mugs are made of high-quality grade-A earthenware or fine bone china, which makes them very durable. 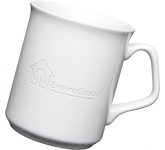 You can expect your mugs to look as good as new even after a couple of years. 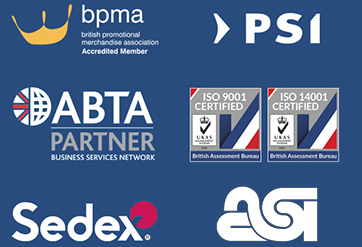 Furthermore, you can be sure that your uniquely etched logo will travel the world and tell everyone only the best things about your brand. 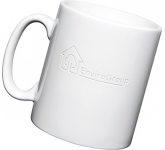 We offer a variety of branding options on our range of promotional etched mugs utilising the very latest technology to ensure that your corporate gifts portray your company in a professional and truly eye-catching, memorable manner. 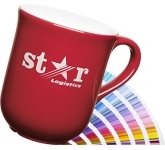 So, if you are looking for low cost, budget, value or cheap etched mugs, and happen to find the same mugs cheaper, with the same print specification and turnaround, just let us know and we will match the price and back it with our industry Award Winning Customer Service - that's our guarantee! 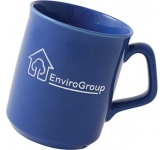 For additional information on our range of promotional etched mugs or how promotional mugs can help your business, why not contact us and have a chat to one of our account managers who will be happy to advise you further.